In conjunction with installation "Data Room"
Audiences were invited to tour the adjoining installation "Data Room" before attending the performance "A Lecture In The Possibility of a 21st Century Poetics". Essays were sprawled across the table of "Data Room" and a random selection was read during the performance/lecture. (A link for an archive of these essays can be found in the Essay Archive Folder below). Large printed fabric tapestries/backdrops and facades with pixelated googled images of wealthy homes, stacks of papers in a place a “data room” (images and written diary, mental ramblings, and daily observations stacked in this “data room” for visitors to pick through before the performance), video of printers analog-ing digital content, and a pseudo lecture/performance reading the downloaded “data” and writings. A project presenting a case-study of a human in 2017 – revealing the inevitable contradictions of human thought, opinion, and affectively life. 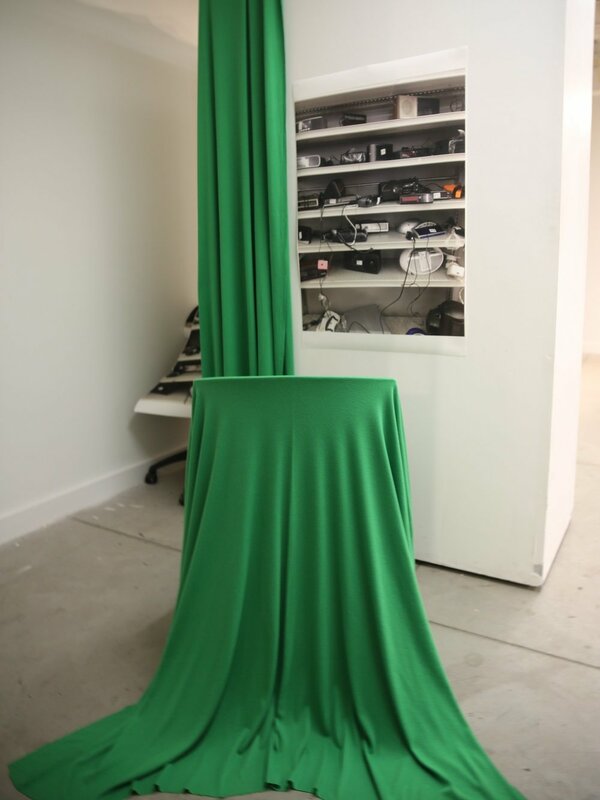 The piece illustrates daily experiences of the 21st century person and contains installation, writing, video, and performance. The piece combines the inner digital and analogue worlds. Internet as poetry. A discussion of our contemporary and daily reality, and a question of, the daily realtiy. The artist plays both the artist-scientis-researcher and the subject. I have a current interest of “paintings from robots” - the digitization of images, compression, compression, and I print them as so - resulting in an impressionistic interpretation made in the digital. All perhaps, a language, a poetics of the 21st century. 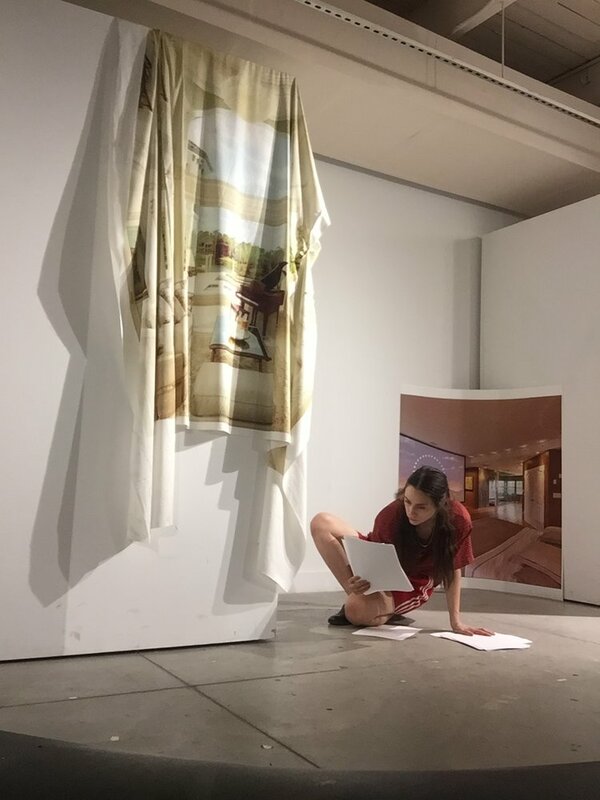 "A Lecture on the Possibility of A 21st Century Poetics"
Audiences went through the adjoining project "Data Room" before watching performance - where they experienced another installation and had the chance to read through pages (some of which were included in the performance). Video elements and video of performance to come.